Gain immediate access to the PosterBase Database, the first and only one of it's kind, Price Guide Book and FREE online Image-Supplement for posters and handbills. 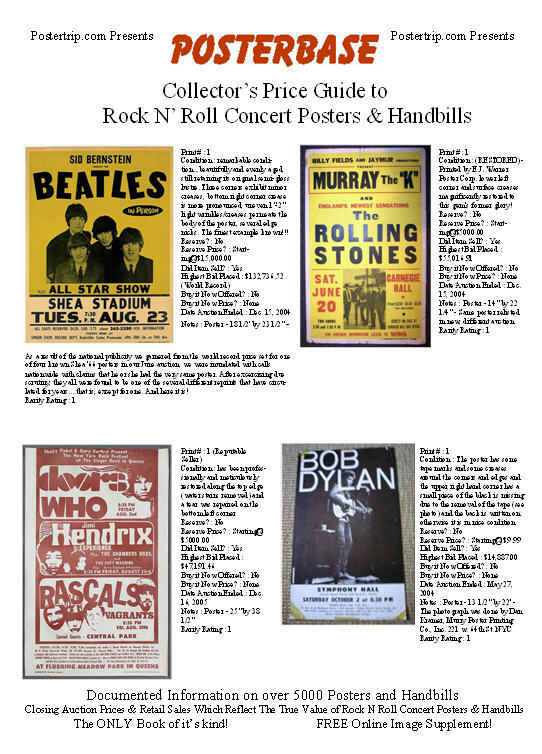 What is your primary reason for collecting Rock & Roll Posters & Handbills? All images are copyright by the artists, bands, and promotors. No claims are made to the ownership of any of the images presented here. All images are used for informational purposes only, and according to fair use. © 2005-2006 Postertrip.com All Rights Reserved. Reproduction without permission prohibited.